Everyone's favorite grilled meat just got an upgrade. 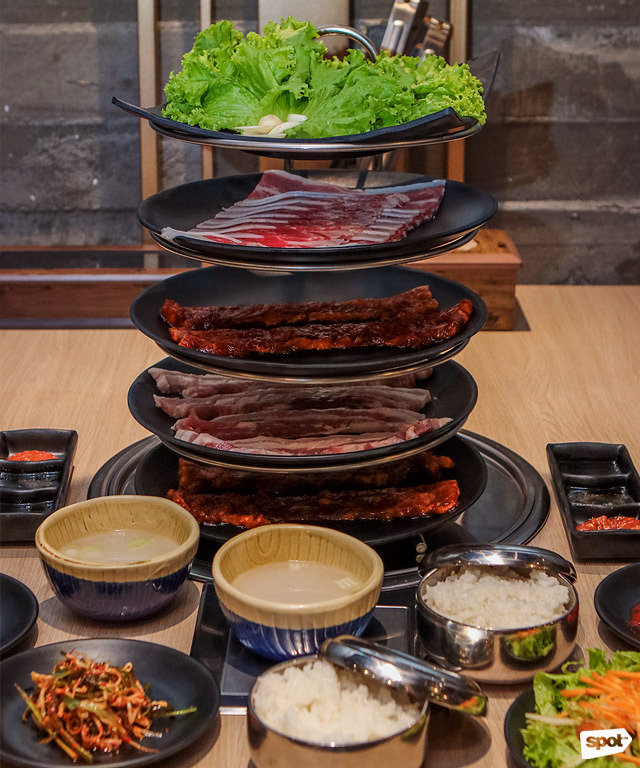 (SPOT.ph) Despite the array of colorful side dishes often served alongside it, Korean barbecue is a rather straightforward affair: You get slices of good meat and enjoy them straight from the grill. 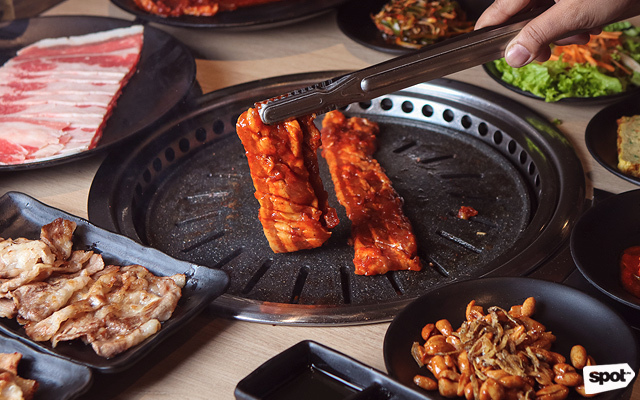 But when it comes to food, it’s the little things can make the biggest difference, and that’s exactly how Soban K-Town Grill sets itself apart from other Korean barbecue restaurants in the Metro. The top-notch ventilation system keeps the place smoke-free. 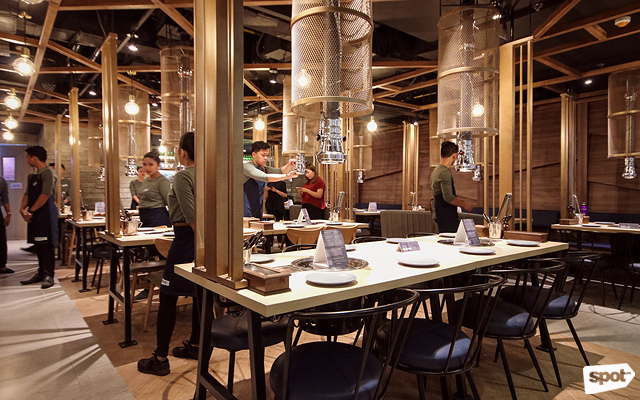 With exposed piping and rough concrete walls giving it a modern industrial look, Soban’s new branch in SM Megamall offers a chill and laid-back atmosphere perfect for casual get-togethers. Alongside its launch is the introduction of new items on the menu that both regulars and curious foodies alike can now get a taste of at any of their branches. They recommend grilling the fresh cuts first before the marinated ones to prevent flavors from mixing. 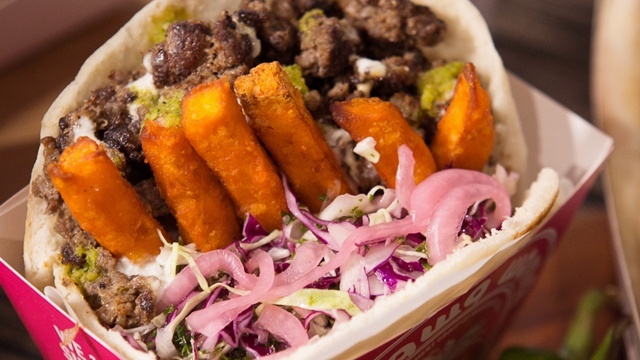 Soban prides itself on integrating bold and new flavors into the traditional K-BBQ. Don’t miss the 6-Flavor Samgyupsal (P750)—it’s been a staple on their menu since they first opened their doors, but they’ve spiced it up by switching out three flavors for new ones that, according to co-owner Dotz Tan Dee, tend to be universally enjoyed—honey spiced, black pepper, and gochujang or red chili paste. 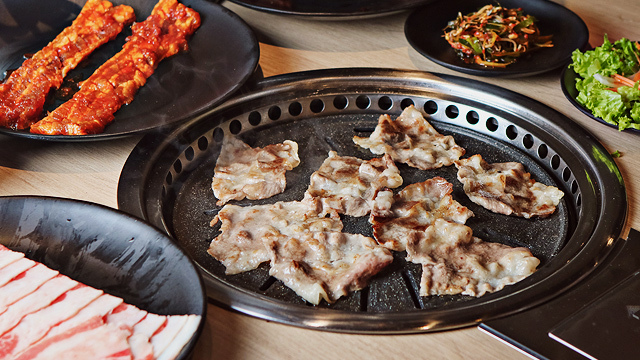 The honey-spiced samgyupsal features thick-cut European pork belly marinated in a blend of Korean spices overnight. Dee already sees the honey spiced samgyupsal becoming a Soban signature. 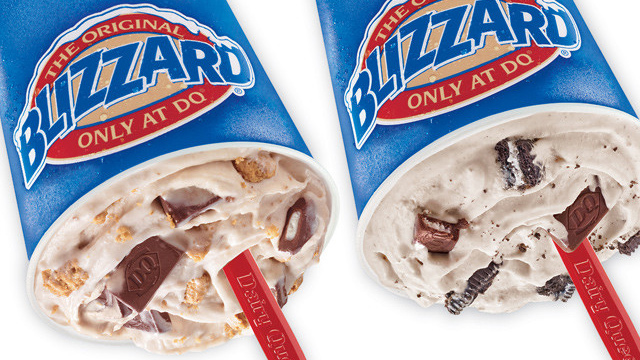 “It’s a flavor that we saw in Korea. We tasted it. Masarap talaga siya. We haven’t seen [other] restaurants [in Manila] serving the same kind of marinade,” she shares. 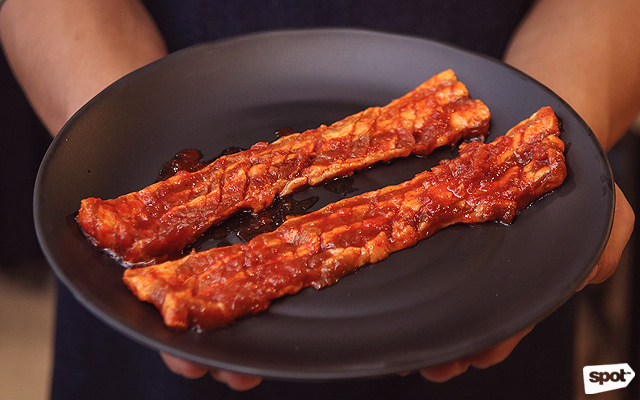 Marinated with a blend of Korean spices, the honey spiced samgyupsal has a sweetness that’s almost reminiscent of classic Filipino-style barbecue, but with a unique spicy twist. You get a good char from the marinade as it grills, giving the tender meat a smoky flavor to complement the sweetness. Aside from new flavors, dining at Soban is made even better with heftier portions. 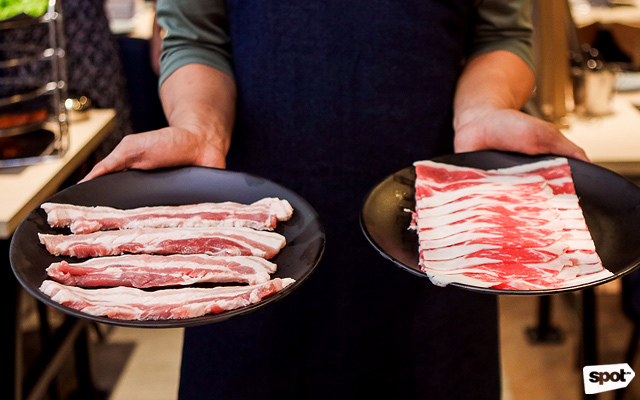 Their à la carte meat offerings (which come with unlimited side dishes) are now available in small, medium, and large variations, serving 120 grams, 180 grams, and 240 grams of meat for each, respectively. They have specific instructions to help you grill each cut perfectly and they're always ready to assist in case there's anything you need. But what really makes Korean food enjoyable is having someone else enjoying the feast with you. Bring your best friend along for the Mega Meat BBQ Set (P1,000), the perfect meal for two meat-lovers. 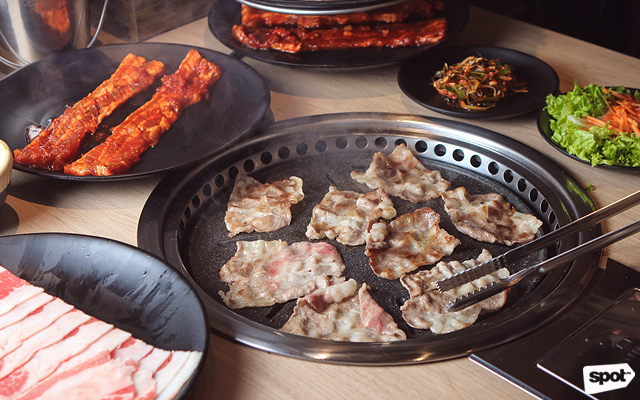 It comes with large servings of Woo Samgyup (beef) and Fresh Samgyupsal, and two small servings of either Samgyupsal or Dak Galbi (chicken) in any flavor. Soban only serves choice cuts of meat. 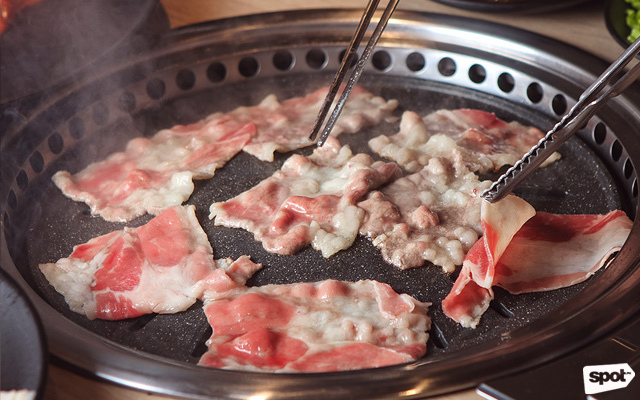 The Woo Samgyup is thinly cut, so it cooks faster than the Samgyupsal. Not sure which flavor to get? The honey spiced samgyupsal is a no-fail option. Dining with a bigger group? Go for the Premium BBQ Combo Set (P2,200), which is good for four people. It’s also perfect for those who are looking to go beyond barbecue as it comes with all of Soban’s house specialties. The set is inclusive of two large servings of Woo Samgyup, a medium serving of Yangnyeom Tohsisal (premium marinated beef), a small serving of Samgyupsal of any flavor, a medium serving of Dak Ganjeong (caramelized fried chicken), plus a large bowl of japchae and a serving of pajeon (savory pancake) that’s enough—if not too much—for all of you. Both sets come with unlimited white rice (add P20 per person to upgrade to kimchi rice), soup, and side dishes to complete your meal. You get homemade kimchi; pa muchim (leek salad); gyeranmari (egg rolls), soft and lightly seasoned; myeolchi bokkeum (roasted peanuts with anchovies), for a sweet-and-salty treat; creamy gamja sarada (mashed potatoes); kongnamul (seasoned beansprouts); and sangchu-geotjeori (lettuce salad), seasoned with a sweet and tangy vinegar dressing that’s balanced by the nutty flavor of sesame oil. 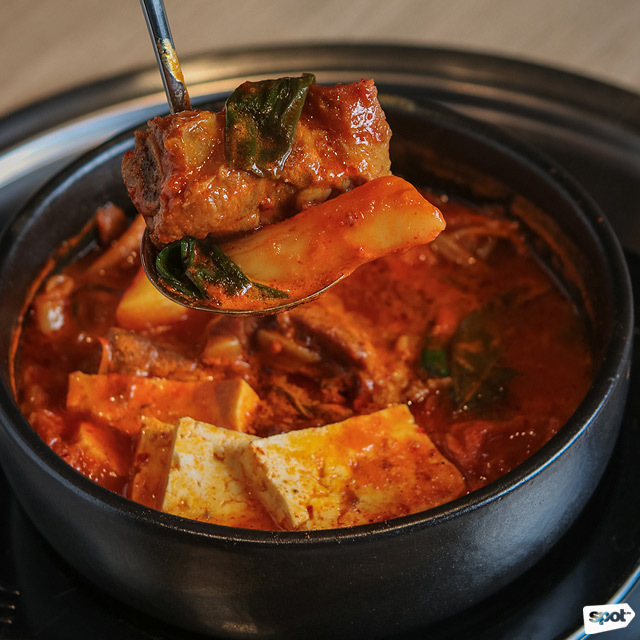 Rich and flavorful, every bite of Soban's Dang Geulbi Kimchi Chigae offers an explosion of flavors you can only get from Korean cuisine. Although many customers frequent Soban to curb their K-BBQ cravings, Dee tells us a lot of the regulars order the Deung Galbi Kimchi Chigae (P320), a stew made with fermented kimchi. It has fork-tender pork ribs that are flavorful to the bone, tteokbokki, and slices of pillow-soft tofu that melt in the mouth. With a sour, spicy, and rich broth, the stew is a secret bestseller among their loyal customers. Taking Korean cuisine to the next level, Soban's extensive menu has a little bit of everything for everyone. Whether you’re in it for a taste of traditional and classic flavors or bold and exciting takes on your favorite Korean food, you’re guaranteed to leave with every intention of coming back—and with its new branch opening in one of the Metro's busiest malls, there’s very little stopping you from doing so. Photos by Jericho San Miguel.